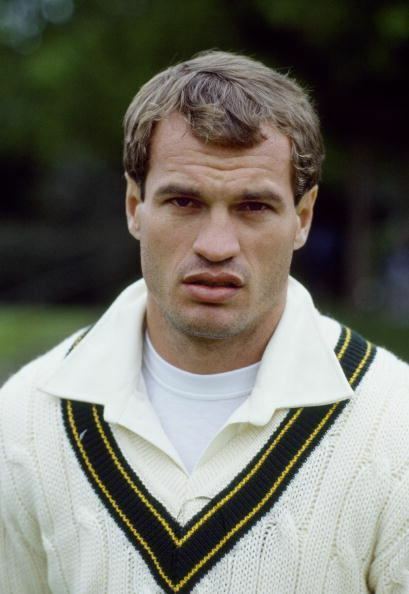 Kepler Christoffel Wessels (born 14 September 1957) is a former South African cricketer who captained South Africa after playing 24 Tests for Australia. He was the first man to have played One Day International cricket for two countries. He was a left-handed opening batsman. He played first-class cricket for Orange Free State, Western Province, Northern Transvaal, Eastern Province and Griqualand West in South Africa, for Queensland in Australia and Sussex in England. As of the 2008 season, he was the coach for the Indian Premier League franchise Chennai Super Kings. Wessels was six years old when he was introduced to the game of cricket by his sisters boyfriend, Johan Volsteedt. Volsteedt taught him the basics of the game and began to regularly play cricket with him during Sunday visits to the Wessels household. 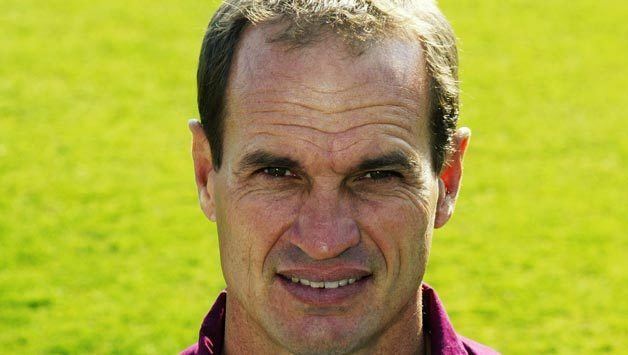 A few years later, Volsteedt became the master in charge of cricket at Grey College, Bloemfontein, and coached Wessels during his playing days for the schools first team. From a very early age, Wessels showed exceptional sporting talent. By the age of 12, he was playing rugby union for the Free State primary schools team and he was one of the leading schoolboy swimmers in the province. However, after a close encounter with death, due to nephritis, Keplers father decided that his son would no longer be allowed to participate in swimming. Wessels decided to switch to cricket, even though the rules of Grey College didnt allow him to play at such a young age. With the help of Johan Volsteedt (who was the first team captain), Wessels was allowed to participate in the net practices and soon cricket became his main activity during summer. During winter, he played tennis, at which he won so frequently that, by 1973, he was the number 1 under-16 player in South Africa and was offered a scholarship of $25 000 over four years from the University of Houston. However, due to the fact that he played as an under-16 against adults, Wessels began to lose regularly in senior tournaments. After a dramatic loss during the Griqualand West Open in Kimberley – after which he cut all the strings from his racket in the changing room – Wessels turned down the offer from Houston and decided to focus all his attention on cricket. As a young cricket player, Wessels scored his first century at the age of nine and was taken into the Free State under-13 side during the same year, getting scores of 80, 80, 88 and 121 against players four years his senior. By the end of 1969, his batting average for Grey College (after nine innings) was 259.59. He was selected to represent the Free State schools side at the prestigious Nuffield Week for five consecutive seasons; and was selected three times for the South African schools side, the third season as captain. In the late 1970s, Wessels was drafted by Kerry Packer to play for the Australian World Series Cricket Team. As a South African with little hope of playing Test cricket for his country, Wessels joined the "circus" to take advantage of the better pay and conditions that the WSC offered. He arrived in Sydney at the age of 21 and was put on trial at the local Waverley club, for Packer to see first if Wessels was decent material for World Series Cricket. After scoring 123 against Penrith, newspapers started speculating about a place for Wessels in the New South Wales state side. The media was unaware that Wessels had already signed for Packer. An innings of 137 followed against the Sydney club side and the selectors immediately named him in the state training squad. That was the signal Packer needed and he quickly called a press conference to announce that Wessels would be playing World Series Cricket instead. Packer saw in Wessels a reliable opening batsman – something that the Australian WSC side was in serious need of. To help him find his feet in the new environment, Wessels played a couple of games for the second-string Cavaliers side. During his first game, two short balls had struck him in the ribs and on the chest, and in both cases, he refused to leave the field and battled on to score a 54 from the innings. Finally, Wessels was included in the Australian XI, for a one-day game against the WSC World XI, which included four fellow South Africans. He scored 20, made 21 in the next game and then got 92 against the Cavaliers side. A Supertest against a Rest of the World side followed in Melbourne, but Wessels scored only eight in the first innings. In the second innings, he managed to get to 46. He regained some respect, however, during the next Supertest against the WSC West Indies, by scoring 126 in his first innings. During the Supertest final between Australia and the World XI, Wessels scored 27 in his first innings, but experienced a miserable second one. Australia lost by five wickets. Wessels final match for Australia was the first Test against New Zealand in Brisbane, 8–12 November 1985. Wessels was alone in resisting the devastating bowling of Richard Hadlee, scoring 70 out of Australias first innings total of 179. He scored only 3 in the second innings, with Australia suffering its heaviest defeat against New Zealand. Cricket was still Wessels profession, and he played a full season (1985/86) of Sheffield Shield Cricket for Queensland where he scored 957 runs at an average of 50.37. He also captained the side in Borders absence, and was unlucky not to captain the first Queensland side to win the Sheffield Shield. The final, between NSW and Queensland, was held in Sydney on 14–18 March 1986. Despite Wessels scoring 166 and 29 in his last match for Queensland, and despite a dominating all-round performance from his team, the match ended in a draw, which allowed NSW to win the Sheffield Shield. Wessels last act for Queensland was a creditable individual bowling performance of 16–5–26–2, including the wicket of a young Mark Waugh. After the season finished, Wessels re-settled in South Africa again and began playing, this time for Eastern Province. Before moving to Australia, Wessels had played for Orange Free State, Western Province and Northern Transvaal. He remained playing for Eastern Province from 1986 until his retirement in 2000. (Not true he also played for Griqualand West and captained them to their Standard Bank title) His debut with Eastern Province was auspicious, captaining the side to a 212-run victory over Orange Free State, and personal scores of 133 and 78 against a bowling attack that included a young Allan Donald. With apartheid being removed from South Africa in 1991, the International Cricket Council unanimously removed the ban against playing South Africa. As a result, South Africa could now play Test and One-day international cricket. When South Africa played its first Test since March, 1970, ten of the eleven players were making their debuts. At 34, Wessels had both the first-class experience of contemporaries such as Clive Rice and Jimmy Cook, but also had experience at Test level that no other South African player had. As a result of these credentials, he was chosen to captain the inexperienced South African side to the 1992 Cricket World Cup, which would signal the countrys return to official international cricket. The decision to name Wessels captain over such local heroes as Rice and Cook (who both didnt even make the side) was met by widespread controversy. More than 10 000 signatures were collected for a petition against the dropping of Rice and Cook, while 71 percent of provincial players told the Sunday Times in South Africa, that they had no confidence in the selectors. Despite the local outrage, Wessels led the unknown South African side in the tournament. The played against Australia in their opening match and produced what was arguably the biggest surprise of the tournament, by beating the hosts by nine wickets. However, the spectacular victory was followed by consecutive defeats against New Zealand and Sri Lanka. Once again, criticism against Wessels started to mount back in South Africa, with many analysts believing that South Africas problems were caused by the captains conservative approach to one-day cricket. South Africa desperately needed to win their next match against the West Indies and, thanks to a vicious bowling assault on their batsmen, the South Africans claimed victory. They won their remaining matches against Pakistan and Zimbabwe, but lost against England. The last group match against India was now vital if they were to reach the semi-finals of the tournament. Rain-delays caused the match to be played 30 overs a side and, once again, South Africa managed to secure victory after India set an imposing target. Wessels and his team were to play against England in Sydney. After retiring he coached English county side Northamptonshire until 2006. His son, Riki Wessels, also played for the club as a Kolpak player. In 2008, he was chosen to coach the Chennai Super Kings in the Indian Premier League (IPL). Wessels was, at times, heavily criticised for his alleged inability to play one-day cricket. Although he played 109 One Day Internationals for both Australia and South Africa, he averaged only 34.35, at a strike rate of 55.3, and scored only one ODI century in his career. From the Channel Nine commentary box, Tony Greig went as far as to say that Wessels "went through a period when his temperament was totally against everything that one-day cricket stood for." Wessels pointed out that he fulfilled the anchor role in the side and that it was his job to bat throughout an innings. 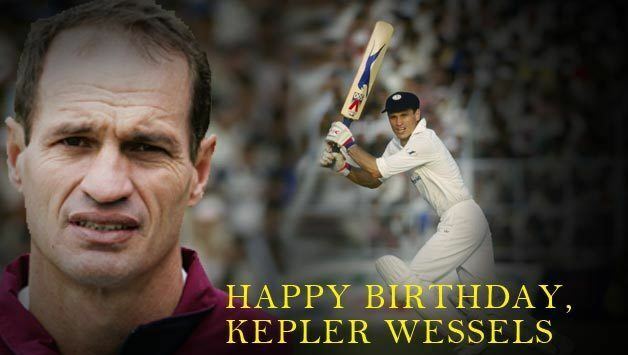 Former Australian captain and teammate Kim Hughes, had publicly supported Wessels on this fact, saying: "Kepler hits so many boundaries that he is always going to score enough runs and, even in one-day cricket, you need someone who can anchor the innings. Hes the bloke I want in that role." During the 1989 Currie Cup final in Port Elizabeth, Wessels angered South African cricket authorities by letting his Eastern Province side bat deep into the third day, without declaring the first innings closed. He was accused of killing the game and ruining what was supposed to be the annual showpiece of South African cricket, by not giving his opponents, Transvaal, a fair chance at batting. However, the decision proved to be correct from an Eastern Province point of view, as the home side managed to bowl Transvaal out twice by the fifth day, thereby winning by an innings and 103 runs.